Sahaja meditation harnesses the power of the inner energy already within you known as the subtle energy, or Kundalini energy. 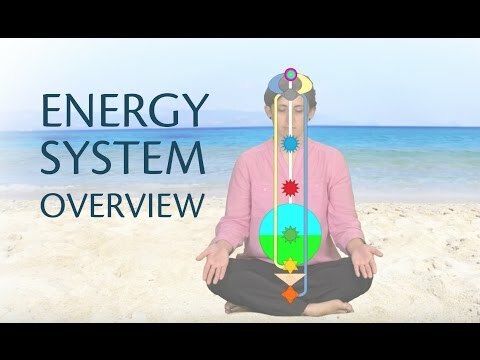 This inner energy system includes a complete system of energy channels and energy centers, or chakras, each of which is associated with specific human characteristics and traits. A the time of our birth, the inner Kundalini energy passes through the brain and creates a vast, intricate system of energy channels and energy centers throughout the central nervous system. Once awakened, this energy flows throughout the body via the 3 main energy channels, or nadis, flowing up through 7 principal energy centers, or chakras. The Kundalini is the seed or primule, a reflection of the divine energy in us. The three energy channels represent the past, present and future and capture the history of our being, as well as the physical and mental drivers (right channel) and emotional drivers (left channel). The energy centers are the accumulators of qualities and traits within us. And the Spirit is our ultimate soul, or root of our existence. It is the ultimate and deepest level of our identity. It is who we ultimately are as individuals. These key energy system components work in synchronicity to drive every aspect of our well-being — cognitive, emotional, physical and spiritual. Let’s take a deeper look at each of these components. The Kundalini is the primordial energy — the source of all energy. We’re all born with it and tt cannot be destroyed. It is a living energy that knows how to act. However, it lies dormant within each of us until it is awakened. Sahaja meditation techniques have the capacity to awaken this energy. We’ve known that the Kundalini energy exists for thousands of years. Meditation practitioners in ancient times documented its existence, but the vast majority struggled to explain this subtle energy, to awaken it and reliably raise it so that it actually be used in practical ways to improve their lives. For more information, see The Subtle Inner Energy. The three channels — left, center and right — work together in synchronicity to integrate and balance your inner energy (and thus your well-being), but each has a specific role to play. The Left Channel (idanadi), also known as the Moon Channel, begins at the 1st chakra (Mooladhara) and passes up through the left side of the body, crossing the Agnya Chakra into the temple and terminating on the right side of the brain. The left channel carries the energy of desire and it corresponds to our past, emotions, desires and our affection for others. The Right Channel (pingalanadi), also called the Sun Channel, begins at the 2nd chakra (Swadisthan) and travels up the right side of the body. The right channel is the conduit for the energy of action and planning, which drives our mental and physical activities. The Central Channel (sushumnanadi), also known as the Middle Path, extends from the sacrum bone at the base of the spine (where the Kundalini energy resides) straight up the spine towards the Sahasrara (the 7th, uppermost chakra). The central channel is the channel of spiritual ascent, the power which sustains our evolution and guides us, consciously or unconsciously, towards the higher awareness of the Sahasrara. The 7 primary chakras (wheels in Sanskrit) are located in the spinal column at the sites of our main nerve plexuses. Nerve plexuses are networks of interlaced nerves that act as the “junction boxes” to connect various parts of our nervous system. We actually have many other chakras within us beyond the primary seven we’ll discuss here. But in practical reality, you may never find it necessary to know about these secondary chakras. Considering the effort required to master many chakras and the immeasurable benefits you will already receive from focusing on the primary 7 chakras, you’ll likely find that understanding the primary 7 chakras and learning how to balance them will be more than sufficient in your lifetime. Each chakra or energy center is located within the energy channels. Each of the chakras is associated with specific functions and qualities. The chakras are analogous to — or subtle representations of — their corresponding physiological entities. While there is no known one-to-one mapping of chakras to each of our visceral organs, each chakra governs the physiological functioning of the general region where it resides. For example, the 3rd chakra, Nabhi, which is located in the solar plexus or central stomach area, governs the functioning of the internal organs and nerve networks in that area and is associated with the states of contentment and satisfaction. Incidentally, since each of us was born with all the energy centers already inside us, we have all always had the potential to be content. You can think of each chakra as a fulcrum, or point, of support. The inner energy flows through the chakras, energizing, nurturing and balancing them. To understand how energy flow works, think of your subtle energy system as a flute with seven holes — each hole representing a chakra — and your inner energy representing the air that’s blown through the flute. If the flute’s holes are unobstructed, the flute can produce melodious, harmonious music in the hands of a skilled musician. And so it is with your chakras. When they’re clear and free of obstructions, your energy flows through your body smoothly, achieving a harmonious balance. But what happens when they’re not? You’ll find that most physical or psychological problems can be traced to an imbalance in a specific chakra known as a catch. A catch is a blockage, obstruction or impairment of a chakra, which prevents the energy from flowing through that chakra and rising to a higher level. A catch prevents the chakra from functioning efficiently, which manifests in your life as a physical, cognitive or emotional problem. Through Sahaja techniques, the flow of your inner energy can heal and balance the relevant chakra and the problem disappears. In addition, the chakra’s associated qualities are enhanced and strengthened, which helps protect you from future problems. The stronger our energy centers are, the stronger their associated qualities are within us. Put another way, the more we develop and strengthen those qualities within us, the stronger our energy centers become. The subtle energy system ultimately becomes a valuable self-discovery and diagnostic tool. In fact, once your inner energy has been awakened, Sahaja techniques can help you diagnose problems within your own energy system. Since we humans have a tendency to psychologically justify our wrong-headed actions through defense mechanisms such as denial, this special sensitivity and “vibratory awareness” can become a much more reliable gauge of your true inner state. Mooladhara is the root chakra, the foundation of the entire subtle energy system. It is from Mooladhara that we receive the ability and authority to raise our own subtle energy and help others raise theirs. Swadisthan’s fundamental quality is creativity. It is through this chakra that inspiration is born and creative energy is generated. Swadisthan also governs attention and our ability to distinguish and assimilate pure knowledge. It is from the Void that we are granted the power to become Self-masters and to ultimately evolve into gurus or teachers, who can go on to provide guidance and enlightenment to others. We become self-regulating, self-reliant, self-disciplined and self-sufficient. The fundamental qualities of the Anahat or Heart chakra are pure, unconditional love and compassion. It is through the Heart chakra that we become confident, secure, morally responsible and emotionally well-balanced. It is from Vishuddhi that we achieve harmony and cohesion with humankind and experience unity and oneness with the universe. The fundamental qualities of Vishuddhi are good communication skills and the ability to develop strong, pure relationships. It is through this chakra, sometimes referred to as “the third eye,” that we are able to forgive others, as well as ourselves. The primary qualities of Agnya are forgiveness, humility and the absence of rigid and unnecessary conditionings within us. The primary quality of the Sahasrara chakra is integration and a sense of oneness with all elements of the universe. It is through Sahasrara that we experience the connection to the all-pervading divine energy, to the absolute truth. The supreme force of nature implanted the seed of intelligence in all its creations. This intelligent capsule knows what that being will grow into, how it needs to evolve, what its boundaries are, how it should interact with other elements of nature, and so on. This intelligent capsule exists within each of us, a unique I.D., capable of evolving our physical forms and developing our unique mental and emotional faculties. This capsule is, in fact, the spiritual capsule or package — the ultimate driver. This is the true and tangible Inner Self within us. In your Introductory session at Sahaja Online, you’ll receive Self-Realization, a process meant to awaken this powerful energy using a virtually effortless and completely safe This energy awakening results in the Kundalini passing through the energy centers as it travels upward through the central channel. A connection and integration of your Inner Self to the universal, cosmic energy of the universe occurs as a result. During this moment, we achieve a higher state of consciousness known as Thoughtless Awareness, which is unique to Sahaja meditation. From the powerful state of Thoughtless Awareness flows the deepest imaginable exploration of the authentic inner self, a wealth of practical benefits. In spiritual parlance, the state of thoughtless awareness has been referred to as a discovery of the ultimate truth. There has been some research into the unique characteristics of thoughtless awareness. In the scientific realm, Sahaja meditation has been characterized by the meditator’s ability to internalize attention while experiencing the emotional state of happiness or bliss (Rai, U.C., 1993). Studies of Sahaja meditation have found that when the meditators signaled that they had reached a state of thoughtless awareness or “oneness,” theta activity appeared in the frontal mid-line areas of the brain — the front and top of the brain (Afranas, &Golcheikine, 2001). Increased theta connectivity in these regions indicates a positive emotional state, as well as increased overall alpha power that correlates to a heightened attentional state. In Sahaja Meditation, these brain regions are associated with two chakras: the Agnya (optic chiasma) chakra, which is located at the front of the brain in the center forehead area, and the Sahasrara (integration, limbic) chakra, located in the limbic (emotional) region of the brain. In other words, these studies corroborated the energy flow associated the state of thoughtless awareness. These results also suggested that the Kundalini energy flowing through these chakras was responsible for the experience of bliss reported by the subjects. The activated subtle energy system within you and your daily meditation can improve practically every aspect of your life. Through Sahaja meditation, you’ll have live and constant feedback on the health of your energy centers — a powerful self-diagnostic tool that allows you to quickly pinpoint the root causes of your problems, learn from your mistakes, and adapt your behaviors to achieve your goals. The energy centers and their state contribute to continuous improvement of your character and personality. The practice of Sahaja meditation revitalizes energy, adjusts negative thinking, restores a sense of balance and optimism and peace and contentment. If you’re a seeker, Sahaja can be a vehicle for fulfilling your potential in life, achieving self-actualization, higher meaning and purpose, wisdom and ultimately, self-transcendence.